Diamonds, chocolates, shopping, beer... the Belgian city of Antwerp is one of the most decadent places on earth. Anyone who still believes that The Smurfs are Belgium's crowning glory hasn’t visited Antwerp recently. The historic port city has developed into one of Europe's most spectacularly decadent destinations. Whether you're chasing diamonds, world-class fashion, hand­made chocolates or ludicrously strong beer - in Antwerp you’re never far from a source of serious indulgence. To understand the city’s broad-minded character, you have to consider its cosmopolitan history. 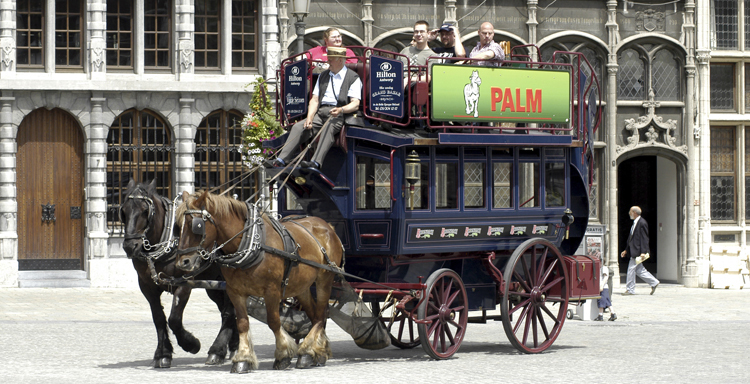 In the 16th Century, Antwerp was one of the richest and largest cities in Europe and home to the world's busiest port. The influx of foreign merchants and constant trade meant the city was exposed to a rich jumble of outside influences that fostered a reputation for tolerance and individuality. Today, this eclectic spirit is most visible in Antwerp's fashion scene. In the last 20 years, this compact city of 460,000 people has produced more internationally acclaimed fashion designers than any other. In the 1980s, designers like Martin Margiela, Dries Van Noten and Ann Demeulemeester provoked a radical buzz on the catwalk with their deconstructed aesthetic (think oversized sleeves, raw edges and inside out seams). Their example paved the way for a new wave of uber-hip designers like Raf Simons and Veronique Branquinho. Today, clued-up fashionistas from as far afield as Tokyo and New York head to Antwerp for mad shopping sprees to get the Belgian labels at knock-down prices. If you re after some glittering accessories to go with your new outfit, then you're definitely in the right place. Antwerp is famous as the diamond capital of the world - more than 70 per cent of all rough diamonds are traded here. Walk down Havenstraat near Central Station and you’ll see diamond dealers scuttling down the streets with briefcases cuffed to their wrists. This is where the world’s top jewellers like Cartier and Van Cleef & Arpels come to buy their stones. Despite the diamond district s credentials, however, there are still conmen about. Before you splash out, insist on getting a proper diamond certificate and make sure you know the cut, carat, and clarity of your stone. If in doubt, Diamondland on Appelmansstraat 33 is one reputable option where you can obtain a better idea of prices and get a diamond set into a ring while you wait. Diamonds may be a girl's best friend but chocolate is another highly valued accomplice. And, as luck would have it, the Belgians regard chocolate with the same fanatical zeal that a Scotsman reserves for his whisky. Chocolates are such an ingrained part of life in Antwerp that the locals buy them as part of their weekly shopping alongside essentials like fruit and veg. The cornerstone of this Belgian obsession is the praline in which a glossy chocolate layer encloses a soft fondant centre. They were named after the Duke of Plessis Pralin, commander of the French army under Louis XIII, who hatched a plan to invent chocolates of such divine quality that they'd distract the troublesome rebels of Bordelais. To taste some of the most exquisite hand made chocolates imaginable, stop off at Burie on Korte Gasthuisstraat 3, a veteran chocolatier that offers demonstrations of how pralines are made. The really important bit, however, is that the demonstrations finish with a comprehensive tasting. But man cannot live on chocolate alone. He does, of course, also require beer. This is where Antwerp really comes into its own. Belgium produces more than 1000 brands of beer, and here you'll also find the famous Flemish white beers revived by the Hoegaarden brewery. Hidden down a side street in the city centre is one of the most famous specialist beer bars in the world, Kulminator at 32 Vleminckveld. This is the beer drinker's holy grail with a drinks menu the size of a telephone book. It lists more than the size of a telephone book. It lists more than 500 beers, but what makes the Kulminator truly special is that 200 of these are vintage ales, some of which date back to the early 70s. You can sample sour Lambic beers, forgotten Trappist brews and Flemish reds from breweries that have long since closed. It would take several weeks and repeated liver transplants to sample all the various possibilities. Fortified by a couple of brutally strong beers, a visit to the baroque mansion of Rubens is another must do. The house of Antwerp's favourite son has been preserved as a museum and offers a wonderful insight into the painter's personal life. In one famous work, Adam and Eve in Paradise, the first woman on earth stands voluptuous and naked by the fateful apple tree, beckoning to Adam with a wanton gaze. In the context of such a wickedly indulgent city break, the painting's sensuality seems to sum up Antwerp's tantalising charms. For make no mistake, this is one city that's seriously full of temptation.